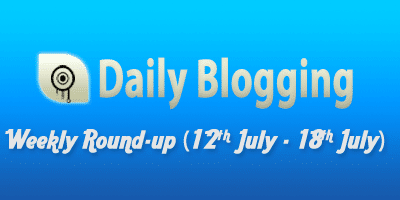 This week we have come up with another round-up of the past weeks posts incase you missed some. This week I tried to post a little more completely 8 posts in a week thats just 1 more than a more per day. 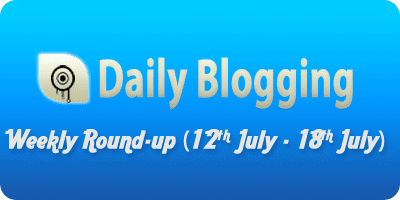 Incase you missed some important posts in this month then you can check the last to last weeks round-up between 5th July – 11th July. I’m also planning to start a new category for Top 10 popular posts in a month so that you can get an idea which post at DailyBlogging rocked the entire month. This past week I created three new categories viz – WordPress, Blogging, Software & finally News. Will write some quality posts in these categories in the upcoming days. Do you have any suggestion regarding my writing ? Use the comments section to tell me. Great round up thanks for the group of links.